Kliph Nesteroff: Several people have suggested I speak with you. One was Vincent - who I met sitting at the bar at Musso and Frank. Monica Lewis: Vincent and my son, Rocky Lang, have been best friends since they were babies. His father did art direction or something at Disney. I had just married Jennings Lang when we moved here from New York. We were told these were very charming people. They called and we got together. She had a little boy and I had a baby and they glommed onto each other. It has lasted all these years. Kliph Nesteroff: That doesn't happen very often. Monica Lewis: Yes, isn't that weird? I love Musso and Frank. Kliph Nesteroff: You were on a radio program that was broadcast for hours at a time - The Gloom Dodgers. 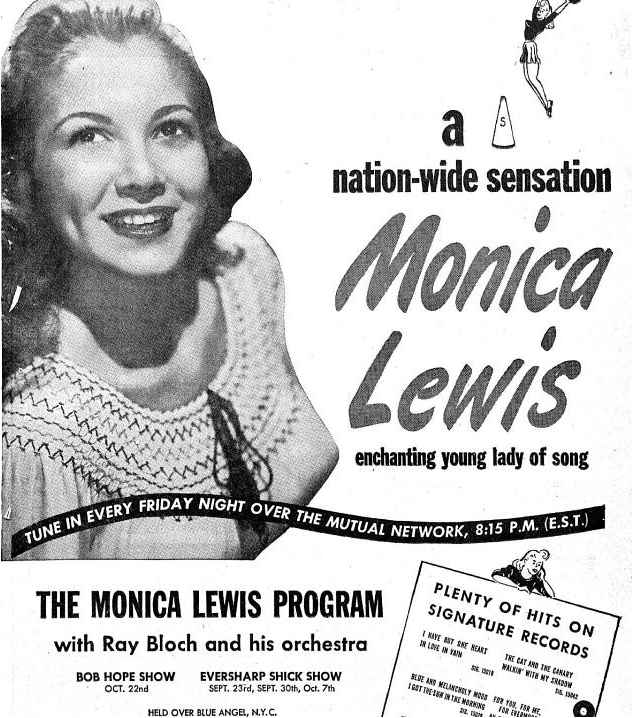 Monica Lewis: That was a live show - early in the morning. "Good morning! It's six-thirty and it's sunny out there!" You know, whatever. It was just one of those happy, get-up things that they had in those days. These days I wake up, hit the coffee pot, turn on CNN and hear about disaster. 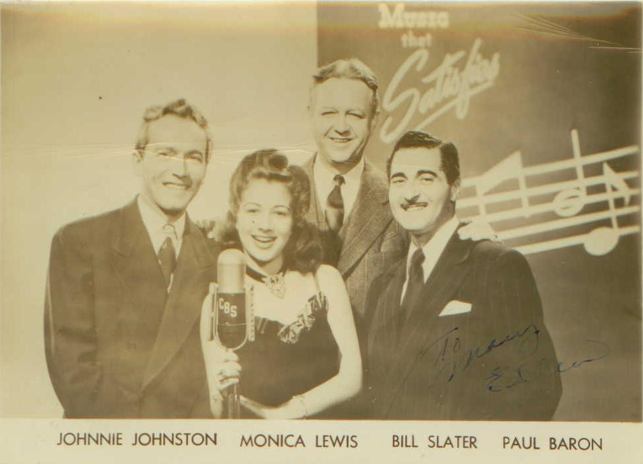 But in those days they had all of these radio shows. Kliph Nesteroff: The Gloom Dodgers was hosted by Morey Amsterdam. Monica Lewis: Yes. I think I may have made twenty-five dollars. I started on another station, WMCA, for five dollars every Saturday. Word got out and WHM called me. It was a fun show. Soon after that I got a gig on WNEW to do a midnight show called the Milkman's Matinee. So, I woke New York City up and then I kept them awake. "When the whole world should be sleeping - our melody comes a creeping - it's the Milkman's Matinee!" I would say to the disc jockey [in a sing song voice], "Okay, Art Ford! Take it away!" He'd say, "Thank you, Monica Lewis and good morning everyone!" Kliph Nesteroff: Yes, he mentioned in passing that you two had an affair. 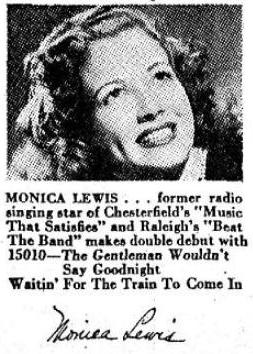 Monica Lewis: (sarcastically) Oh, well wasn't that sweet of him. Monica Lewis: How old is he, for Christ's sake? Kliph Nesteroff: He's eighty-eight, but I usually tell people he's ninety-eight. Monica Lewis: Does he look ninety-eight? Monica Lewis: (laughs) That's so funny. He was very funny and I think I met him through my brother Marlo Lewis. I knew all of the comics in those days. They all used to congregate in a deli called Lindy's in New York. I was the baby at all times. I didn't drink. I would have orange juice or tea, but I picked up the funny timing and how to handle a heckler. Jack Carter. Red Buttons. Fat Jack Leonard. It was a very fun time. I don't know. I keep looking for people that are real funny on television today, but there seems to be a similarity in shtick. No one quite shines. The guy who is real marvelous is Neil Patrick Harris. He's a throw back to the old days. He can sing, he can dance, he can act - he can do everything. Real show business. He's an amazing talent. 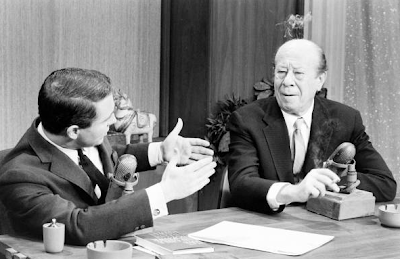 Kliph Nesteroff: The comedian who held court at the center front table at Lindy's was Milton Berle. Monica Lewis: Oh, of course. I knew Milton forever. I knew him when we were just kids. He was older than me. Everybody was. Now I'm older than anybody (laughs). I have outlived all of my doctors and may soon be outliving my money. No one expected me to live this long, but it's fine! 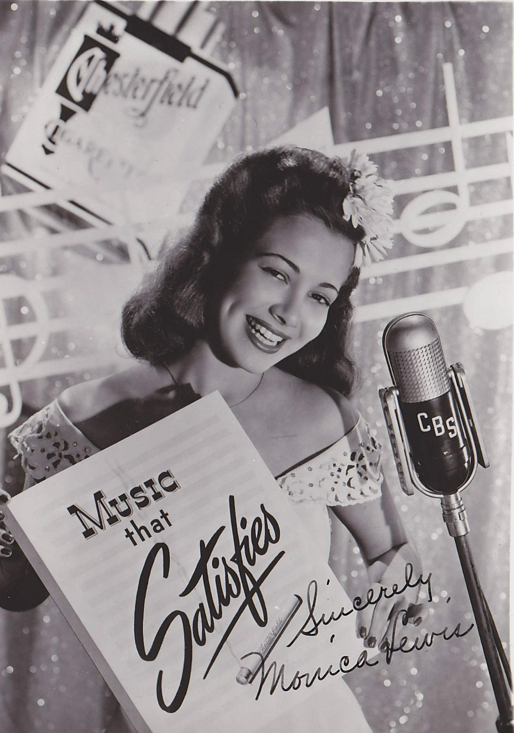 Kliph Nesteroff: How did you first get your job as a singer in the Benny Goodman group? Monica Lewis: That was through Leonard Feather. He called me when I was still on this five dollar show. He became a famous jazz critic. He said, "At three-thirty this afternoon they're having a cattle call and you should go. Peggy Lee eloped with Dave Barbour. Benny needs someone to sing tonight." They were on a remote. In the old days they'd hit you electronically and beam you from one side of the country to the other. Very often you would have to do repeats three hours later, which is what we did on the Chesterfield show because they didn't have the cable going all the way. So you'd work at 7:15, go for coffee, come back and do it at 10:15 for the West Coast. Benny Goodman was straight out at the Astor Roof and he was the King of Swing. He was the biggest guy in the music business. I walked in there and brought my music. A piece of music. There were three hundred kids and I thought, "Oh my God." He'd call you up and if he didn't like it after about eight bars he'd say, "Thank you very much." If he liked you enough he would let you go longer. I was terrified. He let me sing my whole song and he said, "Okay, kid. Come back tonight at 7:30." I went home and I didn't know what I was to wear. We assembled an outfit between me, my sister and my mother. I went back that night with my entire family. Benny fell in love with my father. Benny Goodman was a very serious musician and my dad was a virtuoso composer, pianist and conductor. So I was the girl singer. He said, "We're national tonight and you're going to sing this song." It was a song that Benny's brother-in-law published. It was a God awful song called Mexico Joe. We went into the powder room or something. Benny took his clarinet and played it for me and handed me the worksheet and I sang along with him. He said, "Okay! We'll be on the air in fifteen minutes." Unbelievable. He was going on tour and these were his last two weeks in New York. He asked if I could go on the tour. My folks said they didn't think I was ready to go out by myself and they said no. At the time I was insanely furious with my parents. I thought it would be great - but it was just as well. I very quickly by luck, accident, fate - got the Chesterfield show, which was a national show. A really big show and I became a soloist. I was never a band singer after those two weeks. 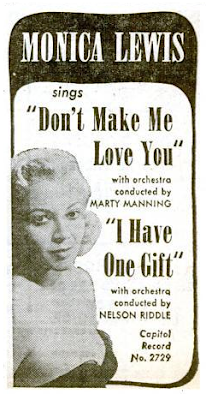 Kliph Nesteroff: Did you ever tell Peggy Lee that story? Monica Lewis: Maybe. Much later she came to my opening at the Persian Room at the Plaza Hotel in New York. She came in with a bottle of champagne and a portable oxygen. She had advanced bronchitis or emphysema. Something really bad. She brought me the champagne and we sat and chatted. I probably told her that story. She was long divorced from Dave Barbour by then. Kliph Nesteroff: What was the Astor Roof like? Monica Lewis: It was a beautiful hotel with a big roof garden and a covered area. They had all the big bands. It was the place to go. Kliph Nesteroff: A lot of classy venues back then. You spent some time at The Stork Club. 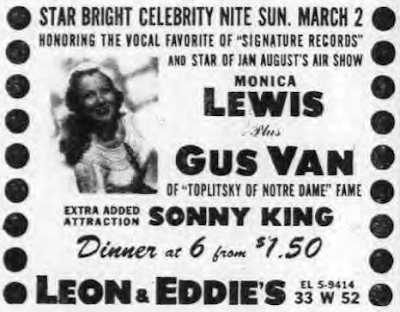 Monica Lewis: Oh, I sang at The Stork Club. I worked at The Stork Club forever. That was early on. I sang with a Spanish band that played a lot of samba music and I had to play the claves. They kept my mic pretty low because The Stork Club never wanted anything that would interfere with the celebrity of the guests. You sang and you were miked, but it was kept down. They didn't want anything to upstage their steak tartare. 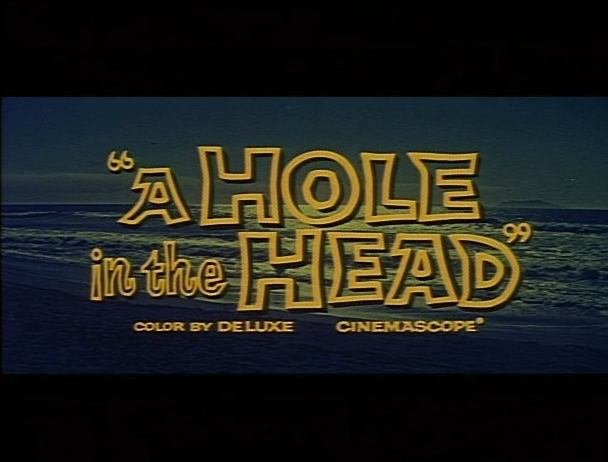 "Oh my God, here comes Tallulah Bankhead. 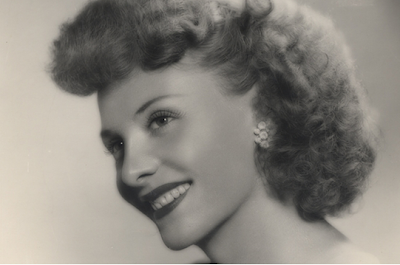 Oh my God, there's Mary Martin." You know, all the Broadway people. We're talking about the forties. Kliph Nesteroff: What was Sherman Billingsley like? 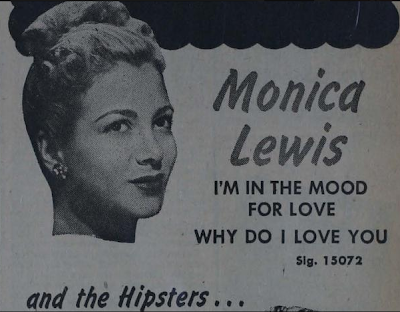 Monica Lewis: A bit unsavory as far as I was concerned. He was nice enough to me, but he was also... I was allowed two orange juice per night and the band was limited to two drinks. He made a pass at me. I was very disturbed about that. I was really young. My dad used to pick me up after work and take me home (laughs). I'd take off the gown and with all the hair flowing, put my hair up in pigtails, put on my flat shoes and go home with daddy. Kliph Nesteroff: Sherman Billingsley was the unlikeliest person to run that place. I understand he and Toots Shor despised each other. Monica Lewis: Toots Shor was a sweet man and of the old school. He was very rotund and hearty. He loved the writers and the press agents and people like that. Sherman tried to be classy and couldn't quite make it. He just wasn't classy. He thought he was. He was a very close pal of Walter Winchell, who was of course very important. They kept that place filled with real dignitaries, stars and society people. The beautiful people. 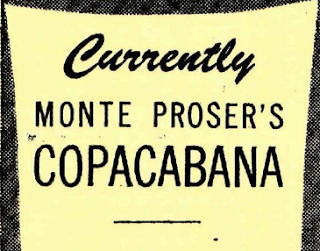 Kliph Nesteroff: Another popular nightspot was The Copa. 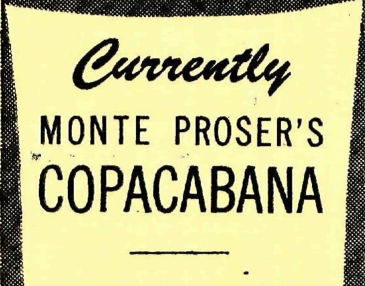 February 1945 you were negotiating with Monte Proser for a spot at The Copa. Monica Lewis: I don't think it was 1945. I think it was later. 1949 or something like that. I worked there with Dean Martin and Jerry Lewis and had a very long run. That was their debut to stardom. They were fantastic. They had gone through two or three singers that did not last. Then I came in and I stayed with them for the duration of the run. Kliph Nesteroff: What was the difference between you and the singers that couldn't cut it? Monica Lewis: Well, I'm not sure. The first one was Vivian Blaine who was a big star in Guys n' Dolls on Broadway. She's a nice person, but she seemed to have either gotten nerves or... she said she couldn't do it anymore. Kliph Nesteroff: The famous story is that she was supposed to headline and Martin and Lewis were to open for her. Monica Lewis: That's probably right. That's right. They just zoomed. Then I think another Broadway singer, Lisa Kirk, just didn't gel. 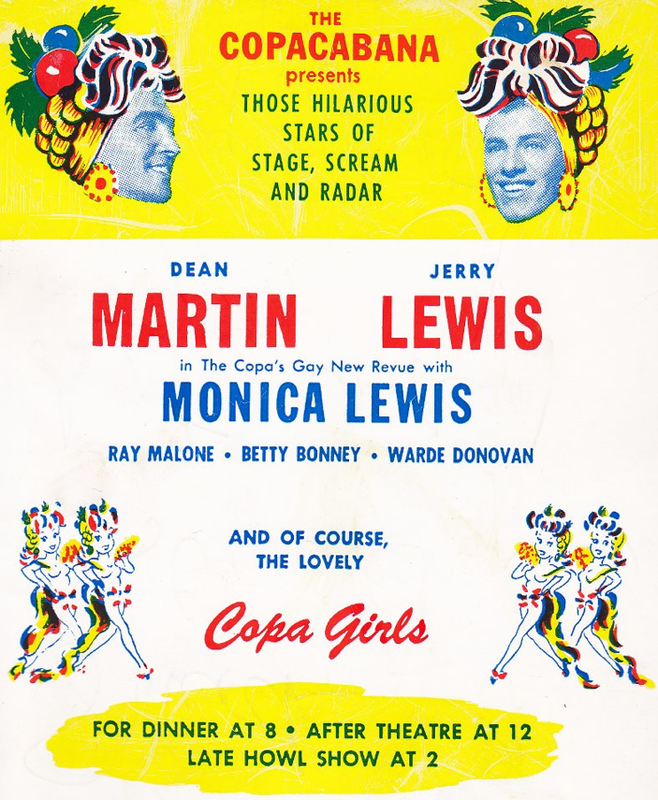 Martin and Lewis were now so big - whatever their feelings were - they felt she wasn't what they wanted. They were now deciding what they wanted. I knew Dean before and I knew Jerry when he lip synched records. I knew Dean from WMCA and he had always been like a big brother. My God, people were around the block at The Copa. They were just amazing. We did three shows tonight. A dinner show at eight, a show at midnight and a show at two-fifteen. Kliph Nesteroff: Describe the difference between the crowd at the dinner show and the one that showed up for the late night performance. Monica Lewis: Well, eight pm would be family. People would bring their children and it was just people who loved to laugh and interested in the insane rise of these two guys. The midnight show would mainly be people who had been to the theater. The show broke at eleven and they came and had a late supper or drinks. A crowd that was very attached to theater and to show business. At two-fifteen you got night owls and a couple drunks, but you still had to do a show. We truncated the late one sometimes. We didn't do quite as long. The guys loved to do it. As long as you're up until two-fifteen, you might as well do a good show - because there is an audience, regardless of what they were. Kliph Nesteroff: Who was in charge during your stint? Monte Proser? Jules Podell? Monica Lewis: Well, they were, but Jack Entratter was the bouncer turned entrepreneur and he was responsible. Then he moved to Vegas and was a big man there. Monica Lewis: Well, the Mob owned all of them. We never saw those people or at least I never did. But they clearly had a hold on all the big venues that were nightclubs. 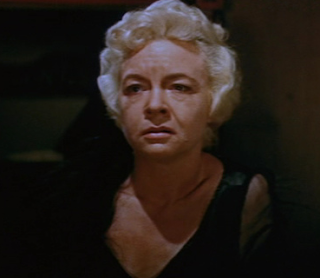 Kliph Nesteroff: You became a big success at the Blue Angel. Monica Lewis: That was a very chic place. Charming and beautiful. It was small compared to a place like the Copa, but really lovely. I had a trio. Ellis Larkin. Ella Fitzgerald's favorite pianist. It was very intimate and just beautiful. I was there, the first time, ten weeks and the next time six. By then I was getting other bookings. It was lovely. Sinatra would come in every night for a while. "You're doin' good, kid." It was a very nice experience. 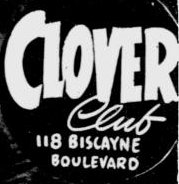 Kliph Nesteroff: August 1946, you played the Clover Club in Miami Beach. Monica Lewis: I have no memory of that. I mean, I'm sure I did. I don't remember anything about it. 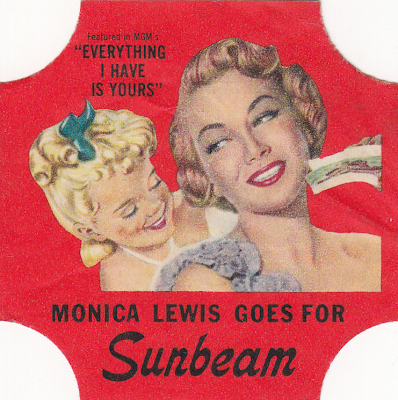 Monica Lewis: It was. They had so many hotels and people that went to shows. It was always a very good job, that's what I would call it. The hotels would give you a nice suite and there were real perks about it. Kliph Nesteroff: October 22, 1946 you appeared on The Bob Hope Show. Monica Lewis: I had a recording out of Put the Blame on Mame, which Rita Hayworth did in the movie Gilda. She never sang it. I think Anita Ellis sang for her. I never dubbed for anyone. I was asked a million times, but I said no. 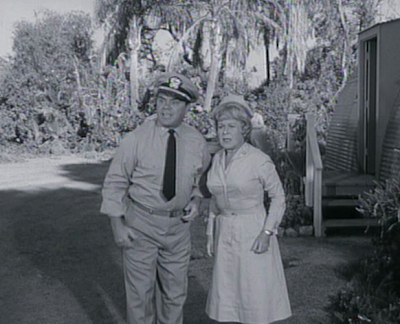 I received a telegram from Bob Hope. In those days we got telegrams. I got a telegram from Bob saying he was going to be doing a radio show in New York and would like very much to have me on as his guest. I was excited. I met Desi Arnaz, who was the bandleader. It was a real kick. I was in awe of Bob and he made me feel very comfortable. He asked me to come and sit with the scriptwriters and watch the rehearsals and had me there the whole week preparing. It was very lovely and a great opportunity for me. He was such a big star and I was the only singer on the show. Real great. It propelled me to greater things. Each thing was another step up the ladder. 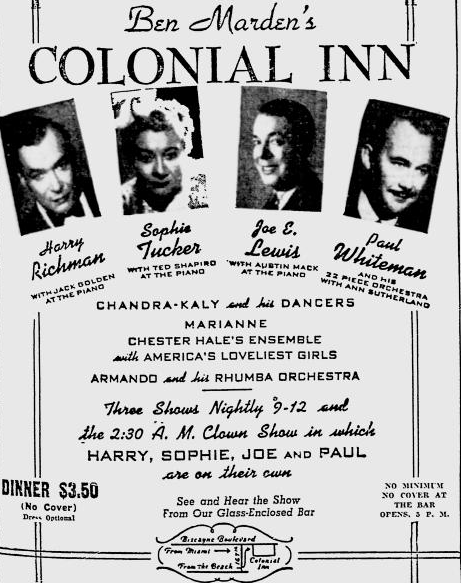 Kliph Nesteroff: March 1947 you played the Hotel Sherman in Chicago. Monica Lewis: I played so many places in Chicago and I was born there. We moved to New York when I was eleven. I played the Chez Paree. 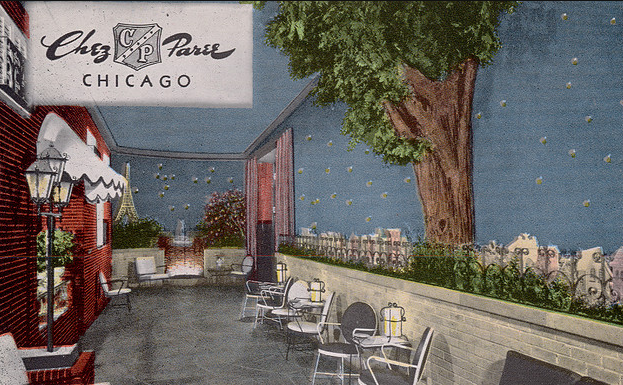 The Chez Paree was like the Copa. It was the most important club of all and all the biggest stars played it. They had a wonderful orchestra, wonderful food and a wonderful line of girls that danced. They'd have beautiful showgirls in the back and the ones who could really dance would be up front. Then an opening act and the star. They'd have a comic as an opening act and a singer or a dance act. It was always a big show. 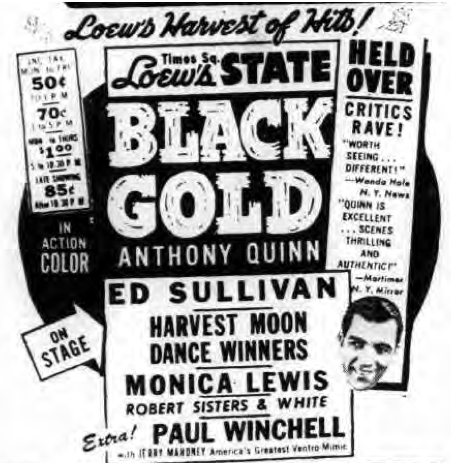 Kliph Nesteroff: Your first encounter with Ed Sullivan was at the Harvest Moon Ball. Was this at Loew's State or was it Madison Square Garden? Monica Lewis: It was Loew's State. In those days you had a movie and a show in the big theaters. A cartoon, a newsreel, the movie and then a live show. That was the way that it was done. The big theaters, the ones on Broadway, they did these shows. 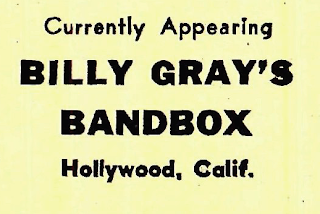 The Roxy, Radio Music City Hall, the Captiol, the Paramount - those theaters. Sullivan contacted me and that was it. I got wonderful reviews and everybody loved it. He had Jerry Mahoney and the dummy. 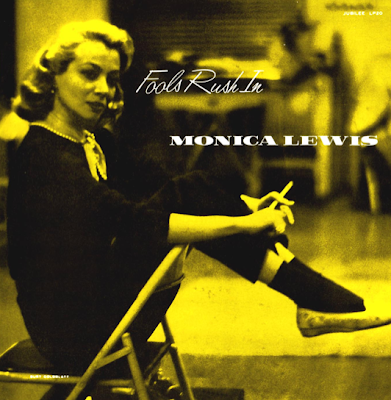 Monica Lewis: Paul Winchell (laughs). I mean Paul Winchell and the dummy! I had a niece that was about three at the time. There was a pause in the music and I had a number called Never Love a Magician, in which I had a magician showing me some cute tricks. There was a pause in the song and we hear this little voice in the balcony, "That's Monica!" The way the acoustics were - everyone heard it. We took her backstage afterward to see the dummy and she broke out in tears. She thought it was a real person and here it was lying in a box. Kliph Nesteroff: Was the Harvest Moon Ball done the same way as any show at Loew's State - with multiple shows throughout the day and evening? Monica Lewis: Yes. I didn't really tailor my shows differently. Sometimes you would do five shows. If it was a holiday you worked harder. Sometimes they'd have a midnight show or an eleven am show. I would say the norm was at least three on a Wednesday or a Thursday. On weekends you did more. Holidays you did the most. Kliph Nesteroff: One of the more storied of those presentation houses was The Paramount, with its elevated, moving stage. Monica Lewis: Yes, I did The Paramount a couple of times. I followed Burt Lancaster. He had done his trapeze show before he became the Burt Lancaster. 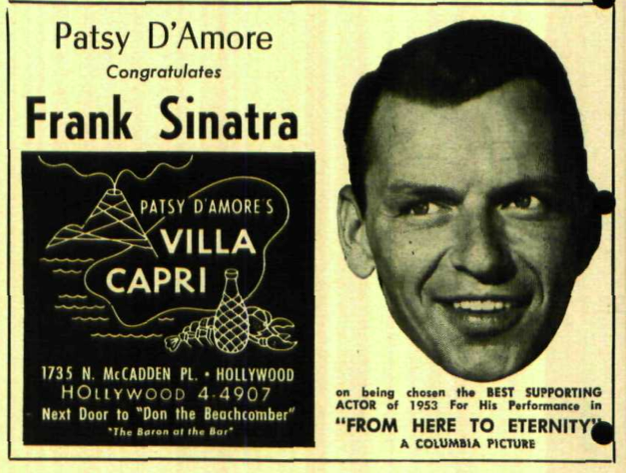 They did a good show there and that is where Frank [Sinatra] broke through. They always had packed shows. I remember the elevator being broken one day. It was a big, big, very important venue. They had morning shows there, but not every day. Kliph Nesteroff: Jack Carter tells me that if you were booked at the Capitol then you also played the Loew's State. They were owned and booked by the same entity. Monica Lewis: I never heard that. I don't remember the Capitol in New York. I played the Capitol in Chicago. I don't remember any deal like that. Kliph Nesteroff: You worked with my favorite bandleader - Raymond Scott. Monica Lewis: He was a very good musician. A very good musician. I think he married Dorothy Collins and she was a good singer. Of the big bands - the guy who is unsung to a certain extent is Tommy Dorsey. Not only did he play such a great trombone, but he had the arranging mind. He had an enormous amount of musical knowledge. And Artie Shaw was very sharp. Kliph Nesteroff: June 1949 you played Bill Miller's Riviera. Monica Lewis: Yes, in New Jersey. It was a huge place and it also had gambling. A lot of these places around the country had gambling in the back - and I'm not sure that it was always legal. The Riviera had a legal thing on the other side... well, I think it was legal. Kliph Nesteroff: Well, it was considered the crown jewel in the nightclub holdings of Vito Genovese and his Mob outfit. Monica Lewis: Well, like I say (laughs) all of them were! None of the theaters, though. The theaters were not run by the Mob, but the clubs were. And that's why they were so beautiful! They spent a fortune on decorators and real dressing rooms for the artists. Kliph Nesteroff: You played the Oriental Theater in Chicago. 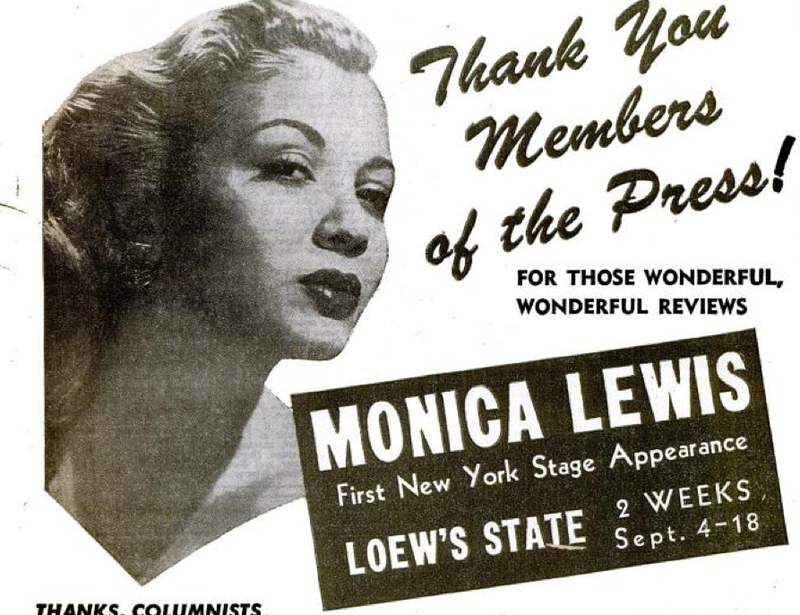 Monica Lewis: The Oriental and The Chicago Theaters in Chicago were very much the same kind of deal. I played both and they were great. They were jobs, honey. They were elegant jobs and they were highly touted with lots of publicity. It helped to sell your records and all of that. Kliph Nesteroff: Between 1946 and 1953 you worked non-stop. You were on the road the whole time. Records one after another. Monica Lewis: I enjoyed it. I figured out that it was what I did best. I had other dreams that maybe I would be a writer or in design, but I realized the thing I did best was singing and performing. I was doing very well. And then I got the job as the voice of Chiquita Banana and that went on for fourteen years. Paid my rent forever. Kliph Nesteroff: You were a regular on The Jack Carter Show, which was the lead-in on Saturday nights to Your Show of Shows. 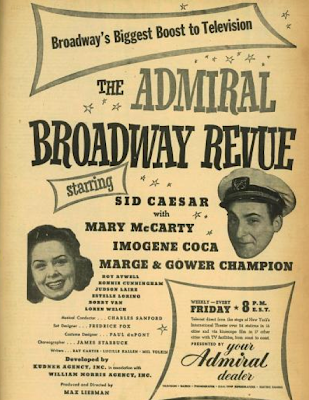 You were sort of the Imogene Coca to Jack Carter's Sid Caesar. Jack says that Imogene got all the press and that you were overshadowed. Connie Sawyer: (sighs) Well, you know... I did ten pilots. None of them got picked up. You have to be lucky. I never got to be a star... although I never wanted to. I never would have been in show business had my mother not made me. She was born in Europe. She always said that if she had been born in America she would have been in show business. They were kosher Jews from Romania. Mama gave me dancing lessons and as a child she told me, "Get out of the kitchen. Go practice! Go practice!" Because I won that amateur contest and was making $250 a week in the era of the Depression - who the hell would quit? My brother got a job on a boat and went around the world playing the saxophone and the violin. He had a good ear and he could play anything. We both got in the biz - and stayed in it. Anyway, I was in Tamiment just after the Your Show of Shows crowd. I wasn't there with Max Liebman so, for me, it was bad timing. But what's the difference? Imogene Coca and I were friends. She came to my wedding. 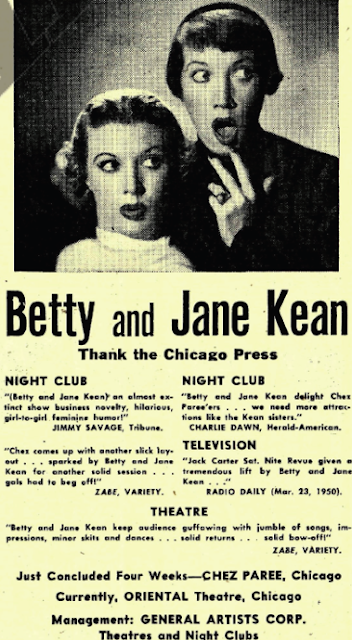 Jane Dulo was another girl comedienne and she was in a quite a lot of things. There was another act - Louise Howard and then there was Jean Carroll. As far as comediennes - that was it. To be a comedienne was tough in those days. Now look at it. My God, they write books and they come out of the closet and they're big headliners! I'm not saying that to be bitter. It's all timing. I really wanted to have children. Imogene Coca never had a child. Jane Dulo never had a child. They missed the whole meaning of what life is about. Here I am. I am ninety-nine years old. Almost one hundred. My daughter drove me into Hollywood this morning and I had an audition for a commercial. Last year I auditioned for one day's worth of work on the movie Due Date. These days you get a day. You work one day on a movie and that's it. 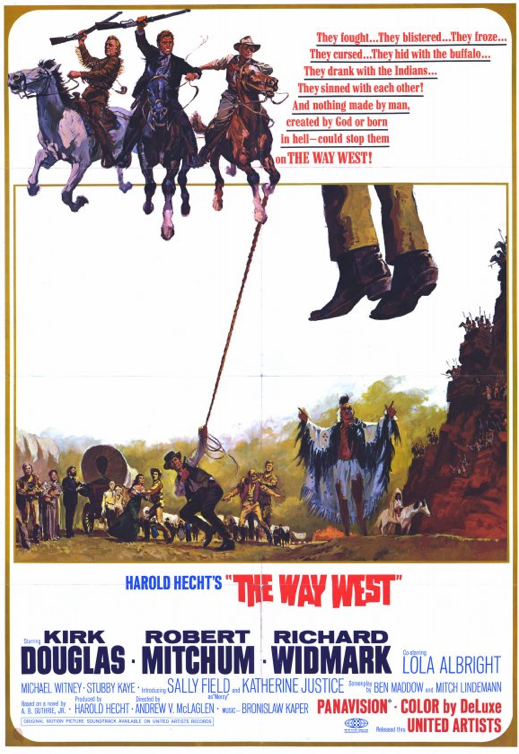 I did the film The Way West in 1961 and we went to Oregon for sixteen weeks. The business is different today. I don't care if I don't get the part... well, maybe for ten minutes I'm upset. Maybe they know how old I am - and they get scared. 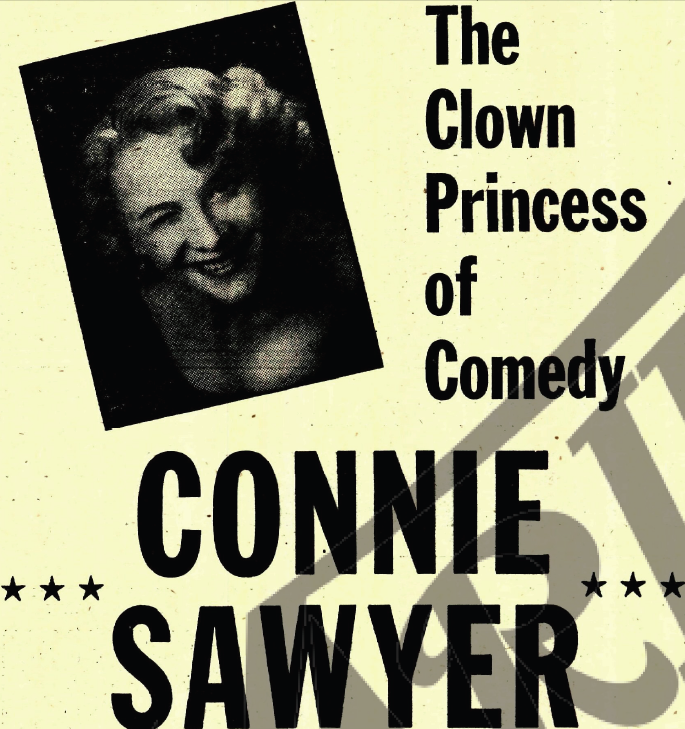 Connie Sawyer: She worked a lot. She was on McHale's Navy. She was in a lot of shows, but she's been dead for a long time. Smoking. Always smoking. We had a group of girls that would get together out here. We called ourselves the Show Buddies. It was The Kean Sisters, Jane and Betty, Giselle McKenzie, Betty Garrett... there were fourteen of us, but there are only five of us left. We would meet at somebody's house and laugh. It was sort of like Yarmy's Army - only those guys would go out and do shows. 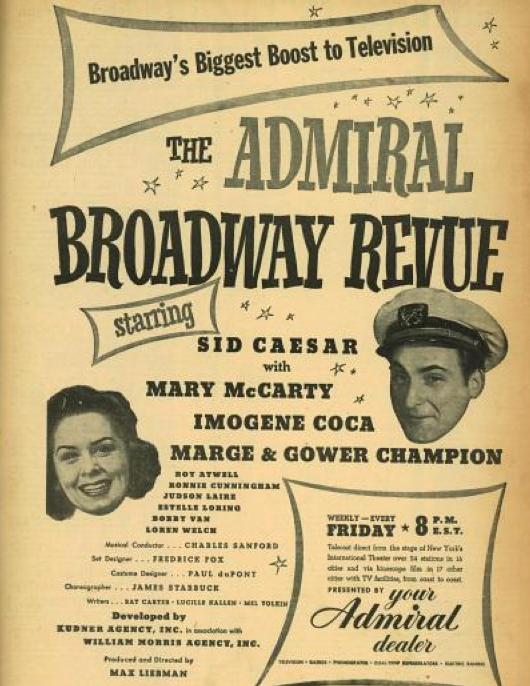 I couldn't get Jane Kean or Giselle or Betty Garrett to put on a show. They were too competitive with each other. We didn't do any shows. They were into their own thing and they were very hot in their own thing. We were just social. Connie Sawyer: But you didn't know who she was. Of course. Loads of people have seen me, you know, but they didn't know who I was. When I quit doing a single it was in London in 1956. I came back to New York and had two children. I didn't want to go on the road anymore and I just worked around New York in Come As You Are, Time of the Cuckoo and A Hole in the Head. 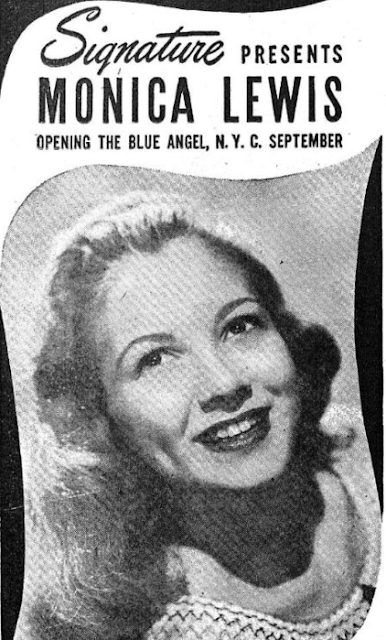 I was covering Kay Medford and Lee Grant [as an understudy] and playing at the Blue Angel. Frank Sinatra's manager, Lillian Small, came to New York and saw the property [A Hole in the Head]. She called Frankie and said, "There's a play I think you should turn into a movie." He said, "Buy it." The guy that was the lead in the play was an anchorman who became an actor. It had a sad ending where the guy loses his son. The brother and the sister-in-law come and take custody of the child. Anyway, Frankie bought it. 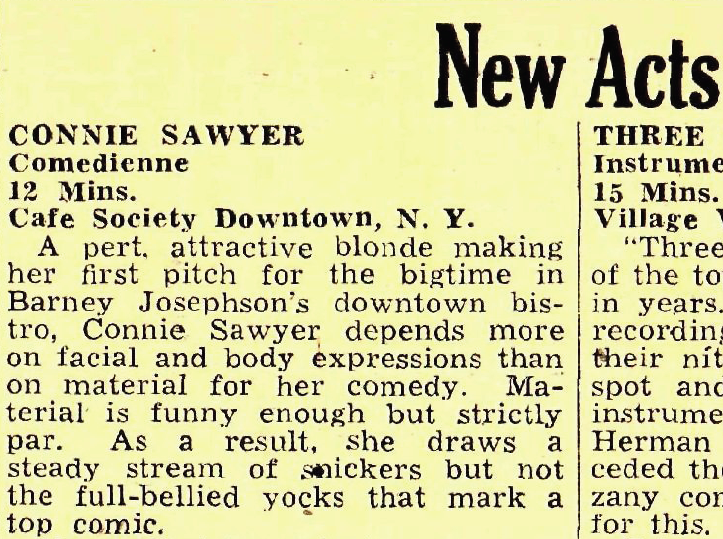 Arnold Schulman said to Lillian Small when they were negotiating for the movie, "The girl that plays the drunk, Connie Sawyer, that's a shtick she created [at the try-outs] in Philadelphia. I didn't write that." Lillian Small called Frank Sinatra and told him. He said, "Bring the drunk." I told them I had two little children. I couldn't leave them in New York. Lillian called Sinatra. He said, "Bring the kids." I said, "Well, I'll have to bring the maid! Who's going to take care of the kids while I'm working!" Sinatra said, "Bring the maid." 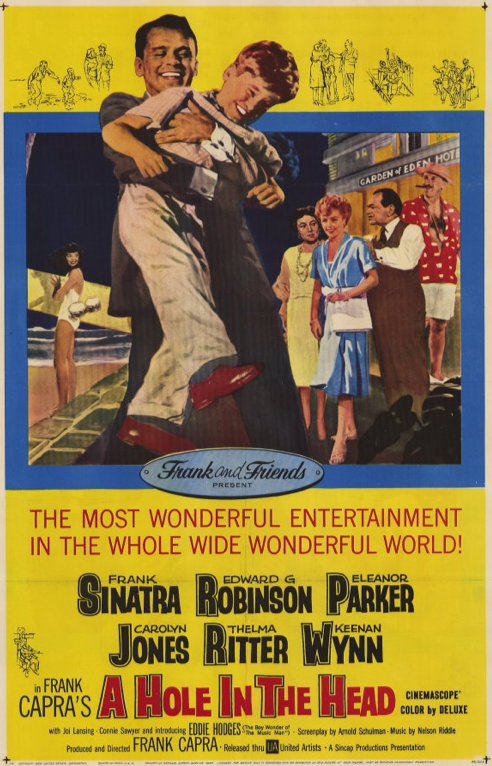 When I got on the set at the Goldwyn Studios, Sinatra announced, "This is Connie Sawyer! She plays the lady that gets drunk and screams, 'Geronimo.' You don't know what this broad did to me!" I loved Sinatra from that moment on. Whenever people would say to me, "I hear he's this, I hear he's that," I'd tell them, "Oh, he's great. He is what he is and he's marvelous. A wonderful, natural actor." So that was fun working with him. And then I did a film out here called Ada with Dean Martin and Susan Hayward. That's when I was getting good parts. Today I'm lucky if I get four lines. Kliph Nesteroff: You said you did your final stand-up gig in London. It was a place called The Colony Club. What was that experience like? Connie Sawyer: Oh, it was a beautiful club. Very chi-chi. They all came in tuxes and evening gowns. It was for the upper crust. I thought I would bomb there, but I didn't. I was the only act on the show and there was one show a night at midnight. They saw me at the Blue Angel and bought me. I didn't go right away. I got married and the booker saw my friend Louise play the Number One bar. I said, "Can she take my place?" He said, "Thank God I saw her act. Yes. But you know you'll never play anywhere in London until you play the Colony Club." I got married, got pregnant - then I got pregnant again. And he'd keep saying, "You'll never play London until you play my club." Finally I said, "I'm ready!" And I brought my two kids to London and played The Colony Club. That's when I said, "No more of this [going] on the road." We lived in Irvington on the Hudson. We had a red barn house. I would play places like the Versailles and stuff like that, but I never went on the road again with the bands and all of that. Then the movies got me. I'm the only one left of that era. They're all dead! Kliph Nesteroff: You were on the bill with Lord Buckley at a place called Club Cairo in Washington, October 1946. 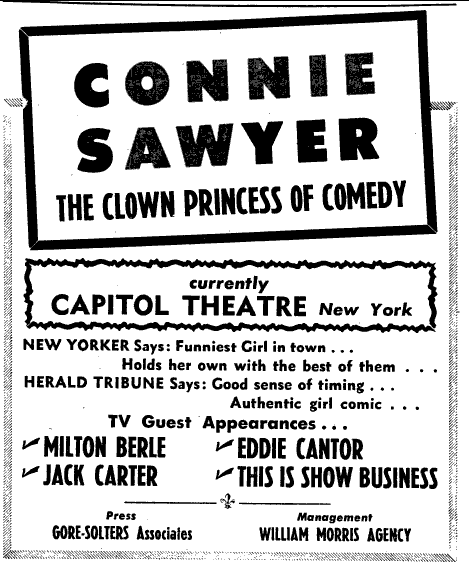 Connie Sawyer: I wonder if it was a Chinese restaurant. I played everything in Washington. We would go there sometimes to break in a show in the old days. I started in San Francisco when I was seventeen. Straight out of high school. There was a radio station called KFRC. They think things like American Idol are new today, but we did those amateur shows years ago. I entered into this contest for the KFRC Variety Show and I won - and I got a contract. It was Al Pearce and his gang. 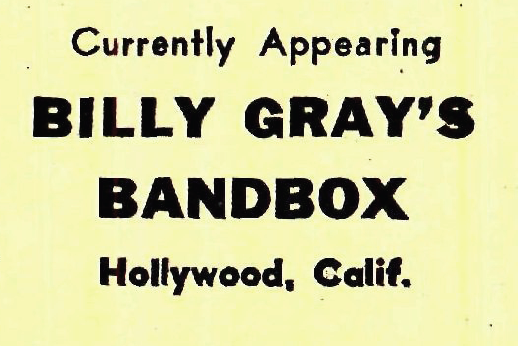 Kliph Nesteroff: The Band Box? 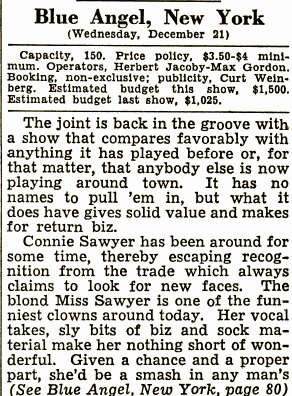 Connie Sawyer: The Band Box! The Band Box! How do you remember that? Oh my God. Yes. I played The Band Box. I'm trying to think of the guy who owned it. Connie Sawyer: Yes and didn't he have a son that became famous? Joel Grey? Kliph Nesteroff: No, I think Joel Grey was the son of Mickey Katz. Connie Sawyer: Ah, yeah. That's it. Why do I get that all mixed up? 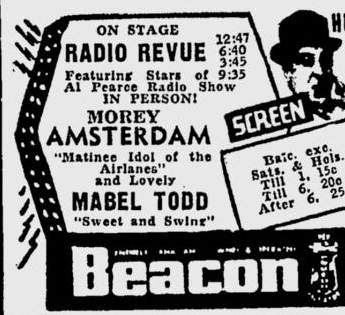 Kliph Nesteroff: When you did The Al Pearce Show in San Francisco - was Morey Amsterdam part of it? 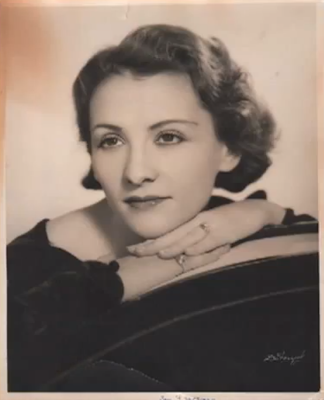 Connie Sawyer: Mabel Todd. God, you're better than me. They would come in as guests and that was the first time I ever met Morey Amsterdam. Later on in New York I did a show of his that did not last. Anyway, I was doing vaudeville in San Francisco and Oakland and Los Angeles. I played the Club Moderne in San Francisco and they had an emcee. A gay boy. He was marvelous. I had two girlfriends and they wanted to go to New York. I worked my way across the country. When I got to Pittsburgh and played a club, Gil Lamb was the comic and the emcee. He was an eccentric dancer. He said that I was the second coming of Fanny Brice. He said, "Your act is so corny, but you've got some talent there. I'm going to see if I can get William Morris to help you." They sent somebody. They brought me into New York and they helped me find an act. Again I had another mentor. They said, "Before we place you in New York, we'll send you to the Mountains for the weekend." Who do you think the headliners were? 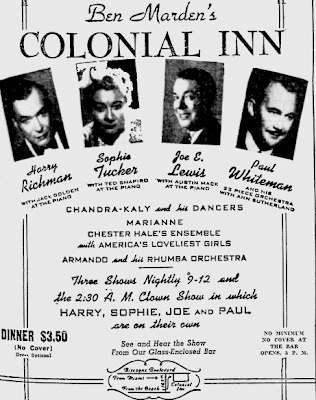 Sophie Tucker and Joe E. Lewis. He drank quite a bit and I don't know how he ever worked. But he did and he was funny. He said, "You're going to open the show." I said, "I can't open the show! I'm not a dog act." I was going on nineteen. Well, I opened the show and they hated me. Talk about flop sweat. I did something very unprofessional. I wasn't getting any laughs and I said to the audience, "Why are you so mean to me! I'm Jewish!" I ran offstage. Can you imagine doing that? I thought, "Well, I've got to go home. I better go home." I was crying. 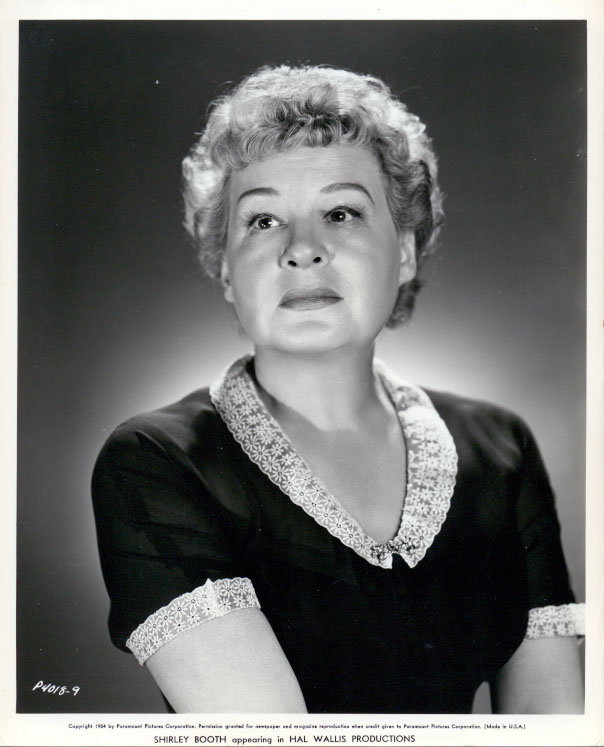 Sophie Tucker came into my dressing room after the show. She said, "Listen, kid. There's no excuse for what you did. But you've got something - and I'm going to help you." They helped me. She was with William Morris and they found a guy and I got an act together. I sent for my mother and she traveled with me for a little bit until I got everything together. Then my father said, "Send mama home. That's enough already." I started working around New York in all the East Side supperclubs. There was the Reuben Bleu, the Blue Angel and I did a revue at The Versailles with Leonard Sillman as the producer. Sure. Paul Lynde was the man comic, I was the girl comedienne, there was a dance team, y'know. They had a whole revue. Kliph Nesteroff: Come As You Are. Kliph Nesteroff: How about Cafe Society in New York. March 1947. Run by a guy named Barney Josefson. Connie Saywer: Yes! Cafe Society. There was one uptown and one downtown. I worked both. The blacklist was going on then and Barney had a brother who was a communist lawyer. Barney was a very sweet man and I had a crush on him. He used to say to me, "Would you go down here and do some kind of a number. They're having some sort of meeting." I would say, "Sure." All the kids that came to the meeting were people like Phil Leeds, Betty Garrett and Lee Grant. They'd ask you to sign a paper and I said, "I don't sign anything." My father used to tell me growing up! "Don't sign. You can get into trouble." I never signed. I should have been blacklisted. But I never was. I was lucky because I didn't sign. Kliph Nesteroff: I read that you were doing a bit titled You Too Can Be Beautiful about a Saks Fifth Avenue model. Connie Sawyer: Yes. Bud Bernsen was a comedy writer. He sorta became like my manager. I would give him ten percent of my salary and he would keep feeding me new things. I liked him. He was a very nice man. Yeah, I became a headliner. There weren't very many comediennes in those days. There was Jean Carroll and she was like Bob Hope. She did stand-up jokes, jokes, jokes, jokes. Mine were more in sketch format. A beginning, a middle and an end. I worked all over and I worked in band shows. I was with Stan Kenton. I forget who the band was when I played the Capitol. Kliph Nesteroff: I think you played it with Lionel Hampton. I have you down as sharing the bill at the Capitol with comedians Joey Adams and Al Kelly along with Lionel Hampton's Orchestra. Kliph Nesteroff: How did you connect with Bud Bernsen. Connie Sawyer: He was in the Brill Building. He was like a song plugger, but more of a writer. That was also the time that I first met Betty Garrett and we became friends all these years. She just died last year. She was ninety-two. Kliph Nesteroff: Yes. 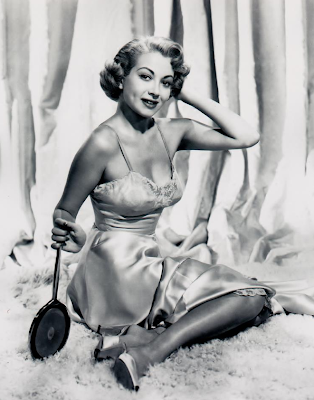 I met her once with Esther Williams. Connie Sawyer: Oh, you did? All the time I was doing an act in New York I was also studying with Uta Hagen. I wanted to be a character actress. During the summer I would play Tamiment where Your Show of Shows started. I loved it. They did sketches and things and it was wonderful training. There was another place in the mountains called Green Mansions where they did everything; revues, plays, ballet - everything. At Tamiment... I think I was with Joey Faye. Yes. 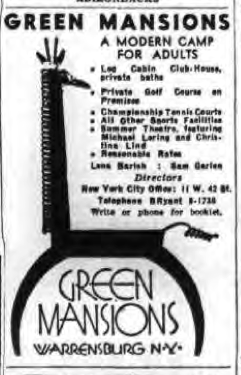 Green Mansions I was with my favorite - Jack Gilford. I was at Green Mansions for two summers. This was all taking place long before the fifties. I remember at Tamiment we had a girl singer, Barbara Cook, a skinny little blonde whom I roomed with. She was eighteen and had a full voice. Lee Grant, an actress, was there. I remember when the summer was over, Barbara went and auditioned and got a musical. Lee went and auditioned and got Detective Story. And I went right back to saloons (laughs). I never seemed to get what I wanted, so I'd take a job. I got into the Actor's Studio because Jo Van Fleet was with me at Green Mansions. 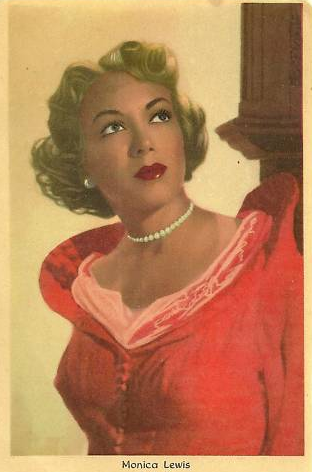 No one would room with her because she was like a prima donna - but what an actress! I had a little chihuahua that was part of a dog act and kinda trained. Ernest Glucksman said, "You'll have to room with Jo Van Fleet." I said, "I don't care." She got to be friends with me. She hated dogs, but she finally wound up loving the little chihuahua. I got into the Actor's Studio with her help and Danny Mann. Daniel Mann was a director, but he had also been a performer and they brought me up there. That's where I met Arthur Laurents. He wrote Time of the Cuckoo. He was a great director and he wrote Gypsy. 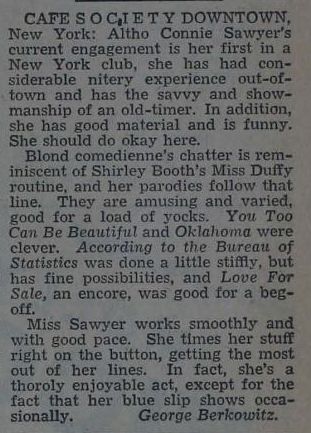 Shirley Booth was doing Time of the Cuckoo and I became her understudy. At the same time I continued to do my act at The Blue Angel. I played The Blue Angel two or three or four times. They would always bring me back and I worked with many headliners. Kliph Nesteroff: What do you recall about the Morey Amsterdam production you mentioned. It was called Hilarities. 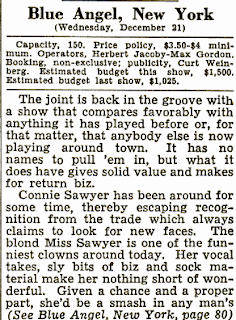 Connie Sawyer: It was a flop. It didn't last very long. I don't know why it was a flop. It was a vaudeville show. It wasn't a play or a musical. The critics panned it. They didn't pan me. I remember. They said I was a very funny, pretty and cute comedienne. As an understudy I was allowed to take other work and learn my craft better. I worked in three shows with Shirley. She would say to her friends, "Let's go to the Blue Angel and see my understudy." One night somebody knocked on the dressing room door and it was Katharine Hepburn - and I was always in there with Shirley, y'know. I never called her Shirley. It was always Ms. Booth. I said, "Ms. Booth! 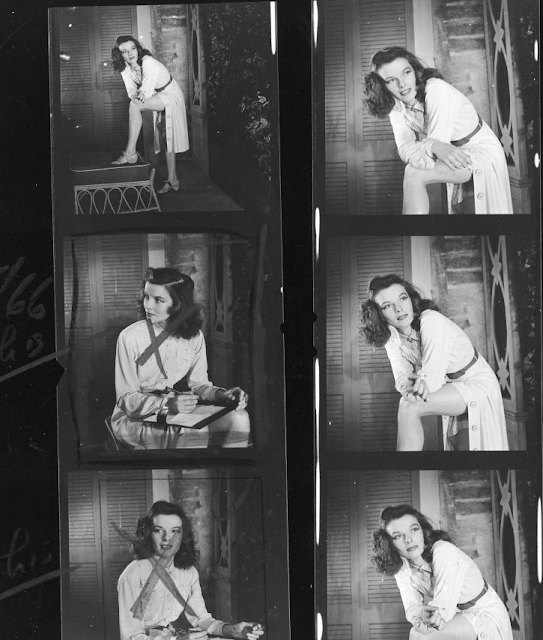 Katharine Hepburn!" 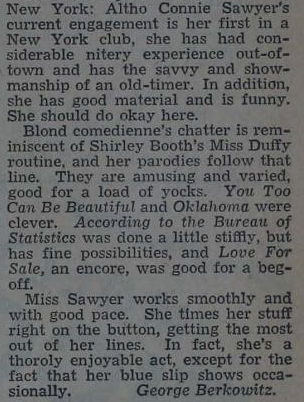 She came in and said, "Shirley, you were wonderful in the show! How come you won't do the movie? They keep asking me to do the movie. I'm here to tell you I don't want to do the movie unless I hear it from your mouth." She said, "I just don't want to do it. I worked too many years to have the [live] audience love me." Two weeks later Hepburn came back and said, "Are you sure you don't want to do the show?" And Shirley said, "Do it, Katie. I don't want to do the film." She turned it down and Katharine did it and it was called Summertime. They changed the name. They went to Venice to shoot it. There was a scene in the movie where she is taking photos and she backs up and she falls into a canal. She didn't want a stunt lady - which was a big mistake. I guess they didn't know. The water was contaminated. She had trouble with her eye after that - all those years. True story. 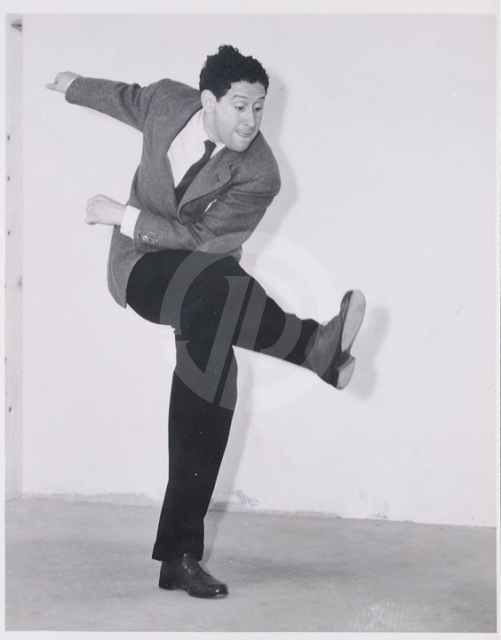 Kliph Nesteroff: Around the same time - 1948 - you did a TV show with Phil Silvers. Connie Sawyer: I sure did! 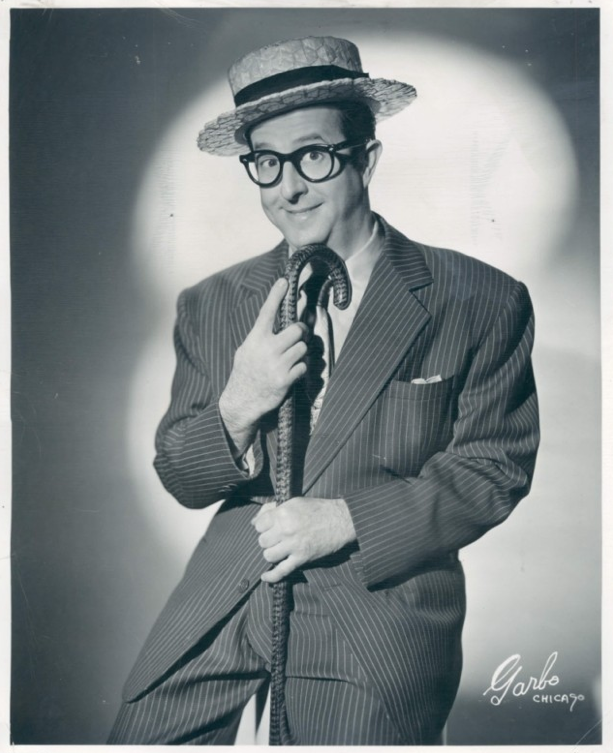 I loved Phil Silvers! Yes, I played all those shows with the comics. I was their lady. Carol Burnett later, later, later started like that. 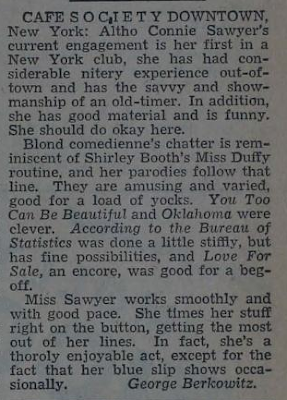 But there were not many comediennes in my era of the late thirties and forties. They didn't buy girl comics in those days. Then the War broke out and that helped me. I was on USO and toured the hospitals. I went to Trindad and Panama and we were supposed to go to Europe. We wound up back in Washington. Something happened and they brought our plane in. They don't tell you. Secrets, y'know. But they did me a favor. That's when they started buying me with the band shows. 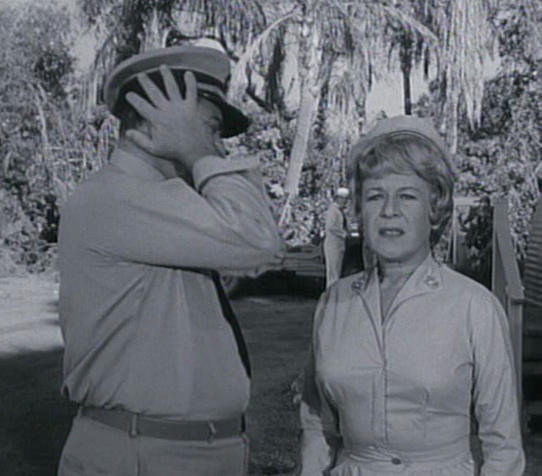 But, yeah, Phil Silvers. 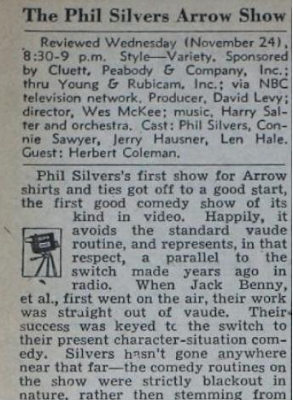 Kliph Nesteroff: The television program was called The Phil Silvers Arrow Show. Connie Sawyer: Yes, Arrow Shirts. I played in the sketches. One day I said to him, "I think I'm gettin' a crush on you." He said, "I like tall, skinny shiksa girls! Not little Jewish ladies!" Connie Sawyer: (laughs) I never forgot that. I laughed. You know I saw Phil many, many years later when he was sick. We were both Academy members. He was sitting in the back. He had been divorced and then married one of those gorgeous, tall shiksa girls. He wasn't well. I went and sat with him. He said, "I don't think I'm long for this world. I'm not feelin' real well, Connie." Two weeks later he passed on. But yes, I worked on that Phil Silvers show. And I worked with Bert Lahr. Bert Lahr, what a funny man. Wonderful man and very high strung. Nervous. Funny. I read the book that his son wrote and it was true. He was always very nervous. He never knew that he was good. How strange. 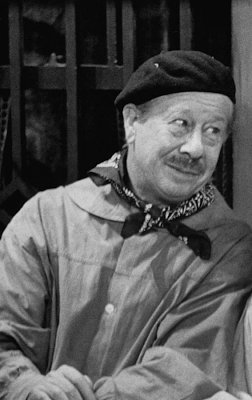 Kliph Nesteroff: Everyone thinks of Bert Lahr as a great burlesque comic, but he really crossed over when he did Waiting for Godot. 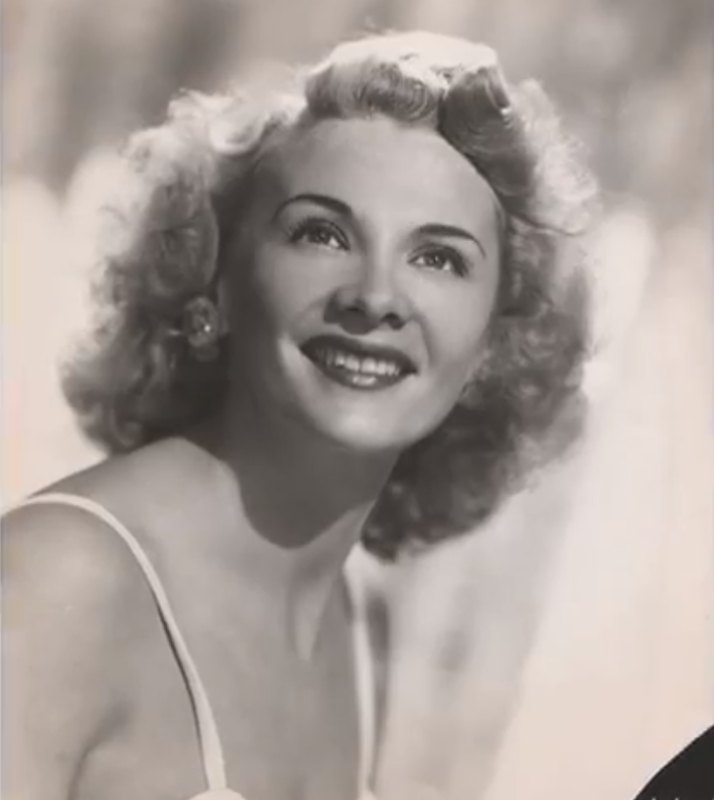 Connie Sawyer: Oh, he was wonderful! I went to see him in Waiting for Godot! I went backstage to say hello. I said, "I loved watching you! Wonderful! What the hell is this play about?" He said, "Don't ask me!" Years later I did an analysis on the play. A couple of women did it at Theater West and it was just as good with a pair of women as it was with men. Kliph Nesteroff: What did you and Bert Lahr do together? Connie Sawyer: We did a television show together with sketches. They would hire me for these things. I did the Colgate Comedy Hour with Eddie Cantor. I was at the Blue Angel and I was with William Morris. They told Eddie, "Go see our client." He said, "I'll go watch her. I don't like auditions, so I'm glad she's working somewhere." He was tough. I remember we did a blind man sketch. We meet on a blind date and neither of us can see very well. It was in very bad taste, but a very famous comedy writer wrote the sketch. 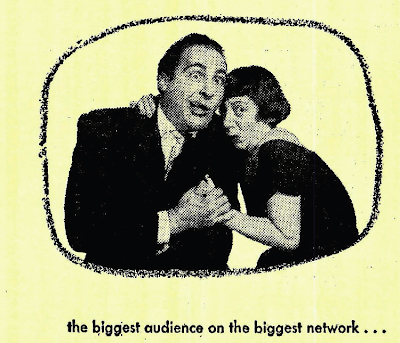 They shot the Colgate Hour in both Los Angeles and New York. We shot my sketch with him in New York. 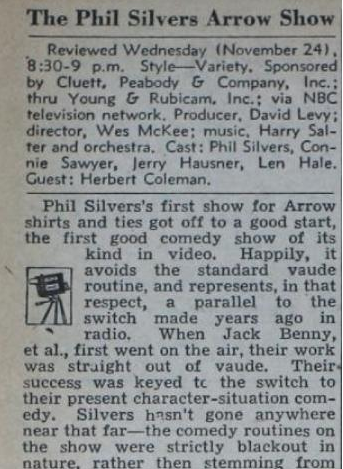 Kliph Nesteroff: The Phil Silvers Arrow Show - you were joined by a company that included Jack Gilford and Jerry Hausner. Connie Sawyer: Yes, I remember Jerry. He did a lot of voice overs and I'd see him in Los Angeles when we both came out here. I went to dinner at his house. Kliph Nesteroff: I have you down as having played a gig at the Blue Angel with Wally Cox. 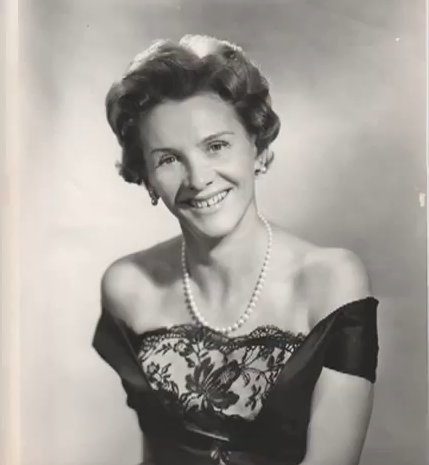 Connie Sawyer: Oh, yeah, Wally. He was friends with Marlon Brando. Yeah and I had a crush on Marlon Brando. Who didn't? I was at Actor's Studio with him. What a wonderful actor. He and Wally were great pals. 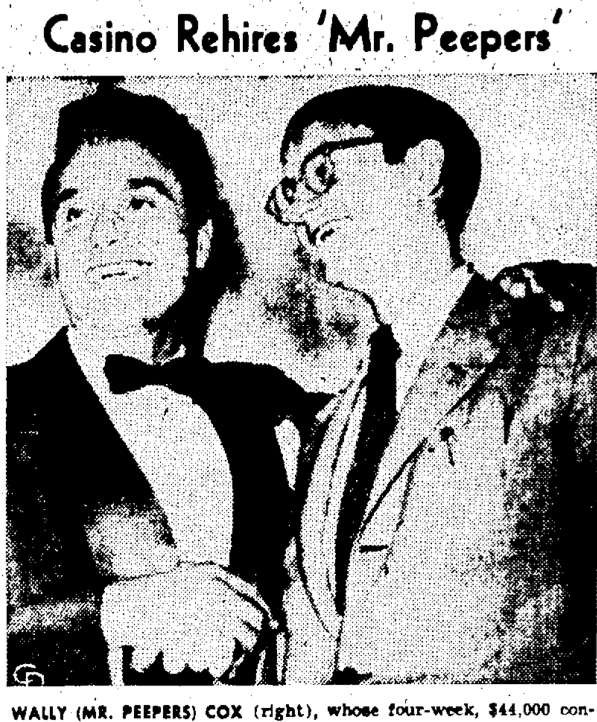 Kliph Nesteroff: You played a gig in Portland at the Clover Club with the old film actor Roscoe Ates. 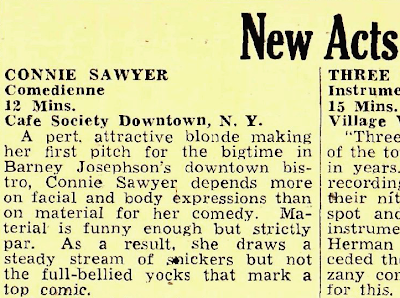 Connie Sawyer: Yeah, the guy who stuttered! Oh my God! I forgot all about that. Yes, I did. He was the headliner. Oh for goodness sakes. Kliph Nesteroff: That seems like a weird gig. 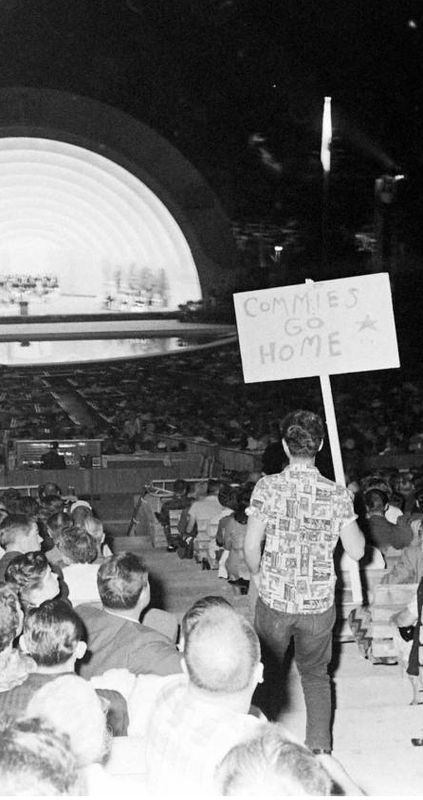 June 1949. Connie Sawyer: Why I was sent there I do not remember. Perhaps the package belonged to the William Morris agency. I know I played Las Vegas in a William Morris package with the Marx Brothers. Chico gambled. Ugh. He'd lose everything. You couldn't get Harpo to put a nickel in the slot. 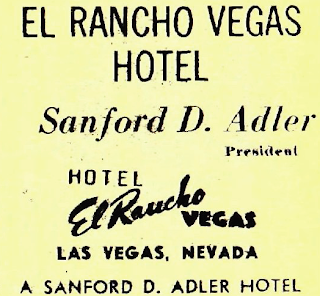 The El Rancho. There were only a few nightclubs in Vegas then. It was still just desert. The Ritz Brothers were across the street. Down the street was another club that had the woman who wore the gloves - Hildegarde. That was in 1948, I think. Then they brought me to Los Angeles. You know where The Comedy Store is now? Well, it used to be Ciro's. I remember when I did Ciro's, this young girl used to come in. She was too young and she was gorgeous. She was sixteen and wasn't supposed to be there, but she'd come in. She was so beautiful. Her name was Elizabeth Taylor.